Guy roller blading, which the gal cycling, along the beach. Left the solid ground white instead of colour it with grey, so that they will stand out better, and the drawing not looking dull. 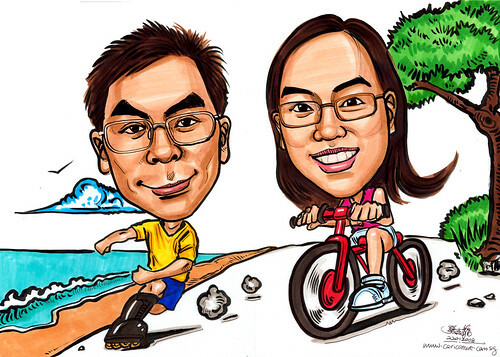 She was in this caricature artwork I have done for Lasalle Investment Management. Can you identify where she was?